Mudflats is Bloggers’ Choice #1 Political Blog for 2008! on the Bloggers’ Choice Awards! Thanks so much to all of you who voted, and to all who contribute here, and make Mudflats what it is! I wonder how Sarah Palin would feel about my recycling the photo above I took at her Welcome Home rally? She wouldn’t mind, right? 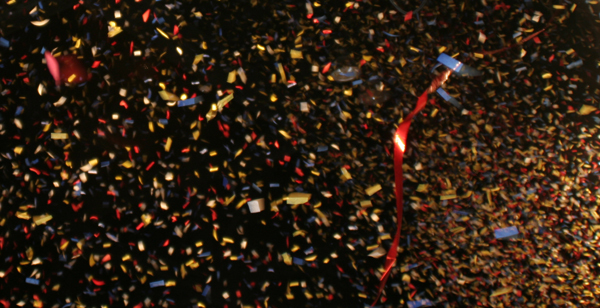 We needed some confetti, and it is for a good cause!